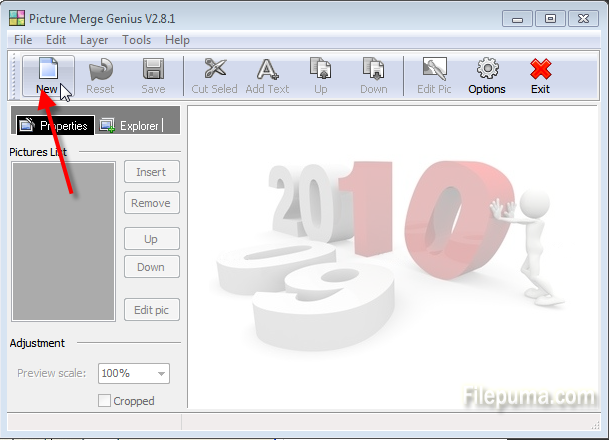 How to Merge Several Images into One? 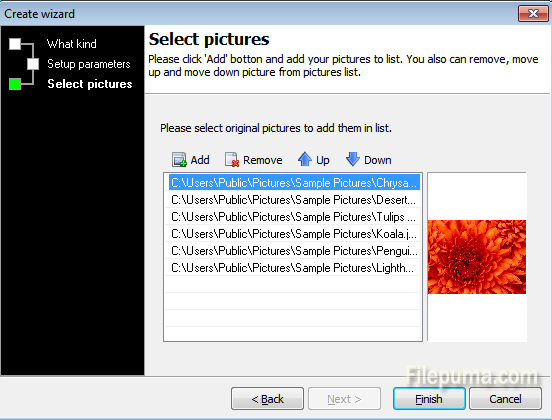 If you have many images and want to show them all at the same time, then you need to combine all these images into one. But how to achieve this effect? Here are the detailed steps. Step One: Download Picture Merge Genius and install it on your computer. Step Two: Click “Create New” button on the toolbar of the main window. 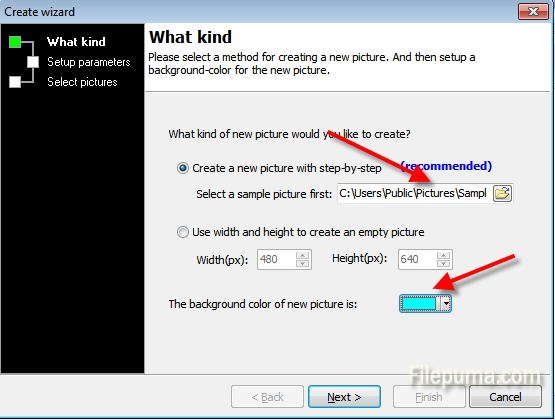 Step Three: In the ‘Create Wizard’ window, select a type of new picture would you like to create and set picture background color. Then click “Next”. 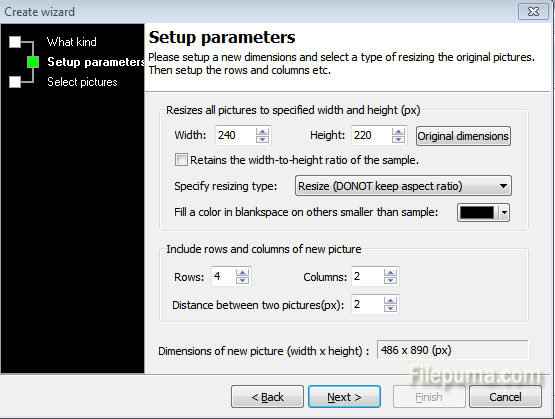 Step Four: In the next window, select a type of source picture resizing, include rows and columns etc. Then click “Next”. 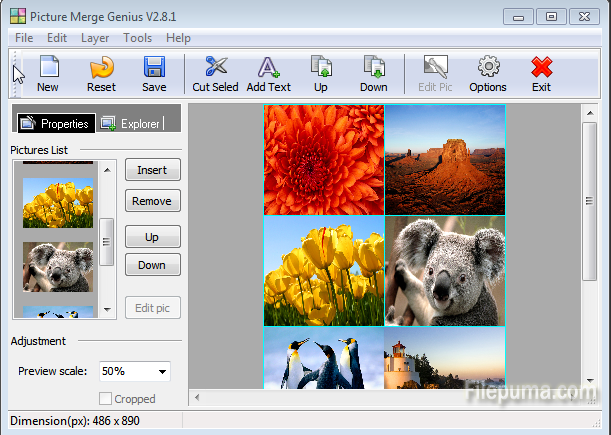 Step Five: Click “Add” to add the pictures you want to merge and then click “Finish”. Step Six: Now you can see all the images have been merged into one.